I live in by the ocean…so the Nautical/boating theme is everywhere. This quilt has been on my mind for a year or more, so I’m relieved to get it out of my brain and onto paper! 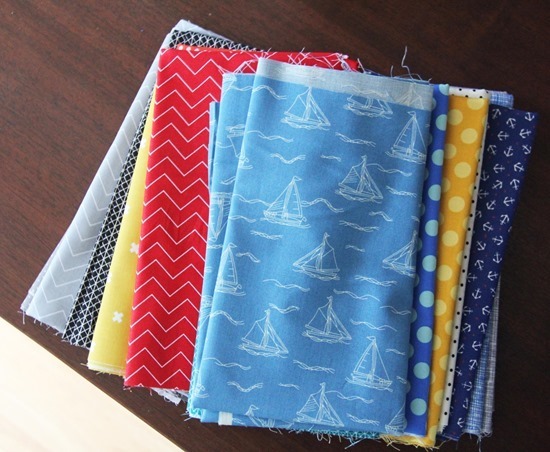 It’s easy enough for a beginner, and even though I used very nautical looking fabrics, it would be lovely in anything. Most of that stack up there came from Hawthorne Threads. 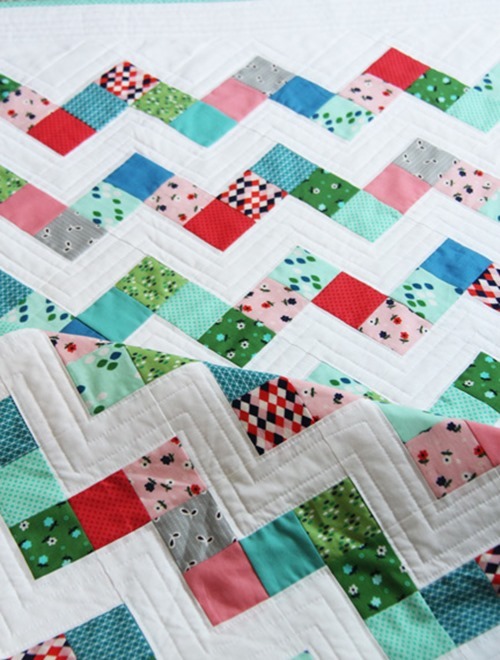 Kathy did the quilting…perfect waves. Next up is Lucky. 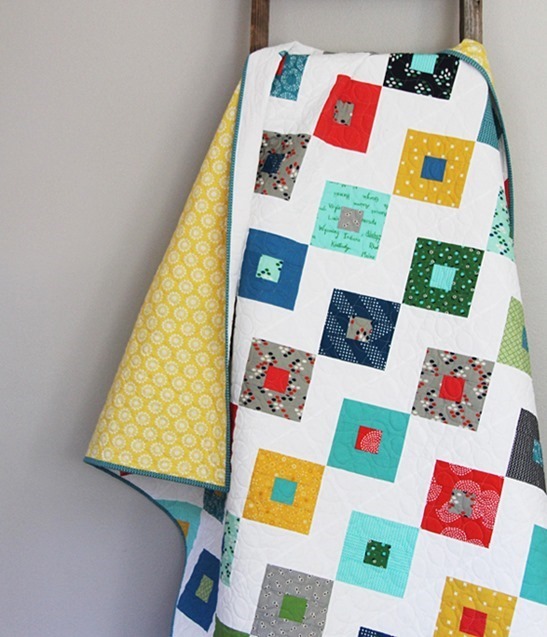 Lucky is jelly roll friendly, and the crib size blocks are scaled smaller so the quilt layout still has the same effect. I had a few people ask me if Lucky is an “on point” quilt. It’s not, the blocks are made and set horizontal, the blocks are made with corner triangles. 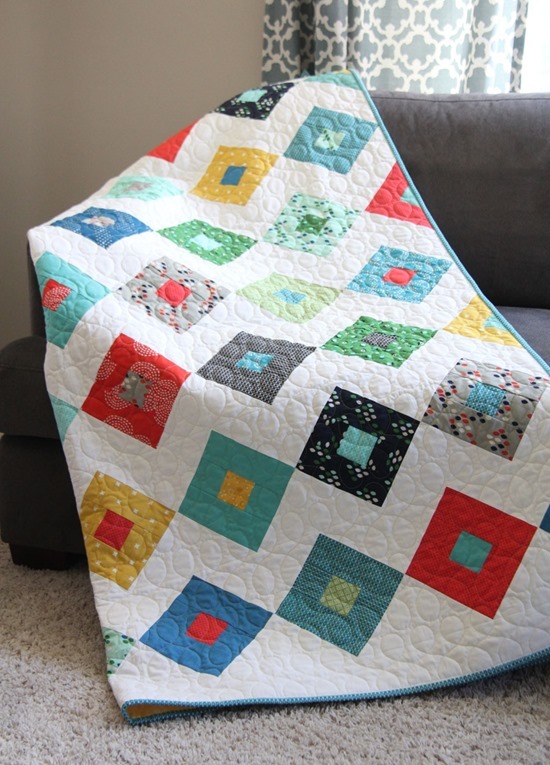 I wouldn’t call it a beginner quilt, more like for an advanced beginner or intermediate quilter. This one was sent out to Crinklelove for quilting. It’s the Modern Loops design. Last up (you still with me?) is Frolic. Frolic is a little pattern and fun to make…I actually made this one again yesterday with my own fabrics. This one actually is on point, but a baby size…so it goes together in a jiffy. It measures 36” x 48”, and uses 5” squares or 2 1/2” strips. I used a lot of the new Cotton and Steel Cookie Book prints for this one…that pink floral is so cute. I quilted this following the zig zags. Ok I think that’s all…if you made it through this mega post you can pat yourself on the back now. Patterns are all in my shop. I have another birthday party to get ready for today…and a lego/minecraft/bionicle/ninja turtle cake to make. It’s going to be a hot mess. ;) Happy Tuesday! I love your new patterns! All the quilts are pretty but I really like Frolic. you are so darling…..your words make me giggle. 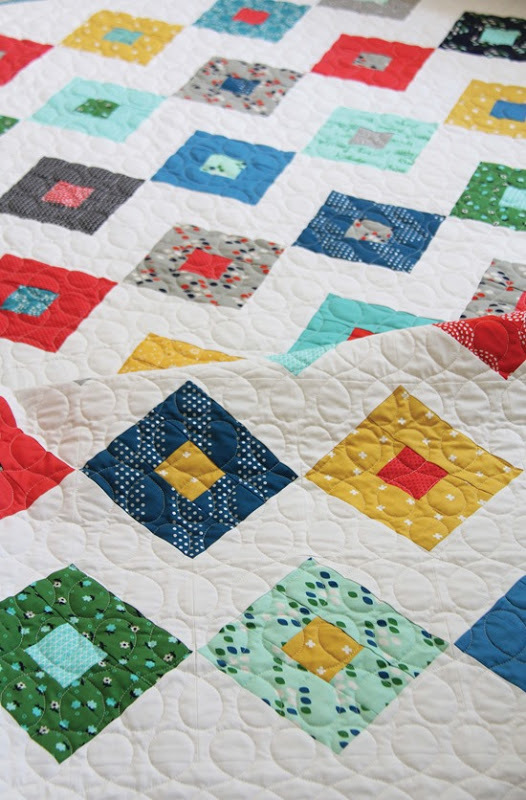 Love your quilts, too! Good luck with all the birthday-ness going on! These are all awesome, and if you told me I had to pick a favorite I absolutely could not do it. 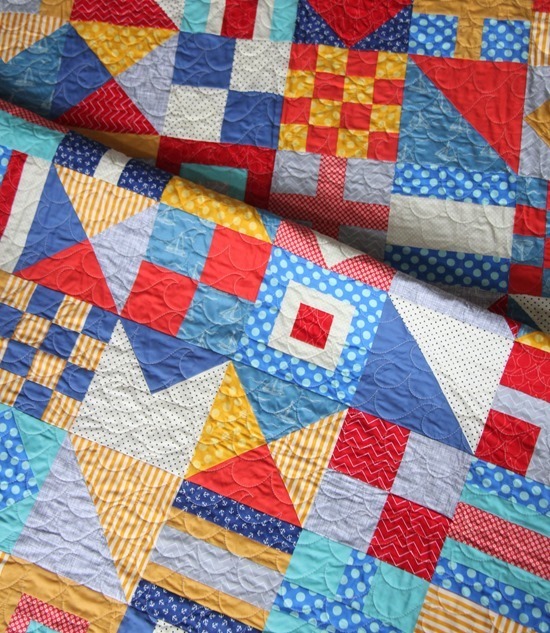 Love the quilting designs, too. Good luck with your cake! 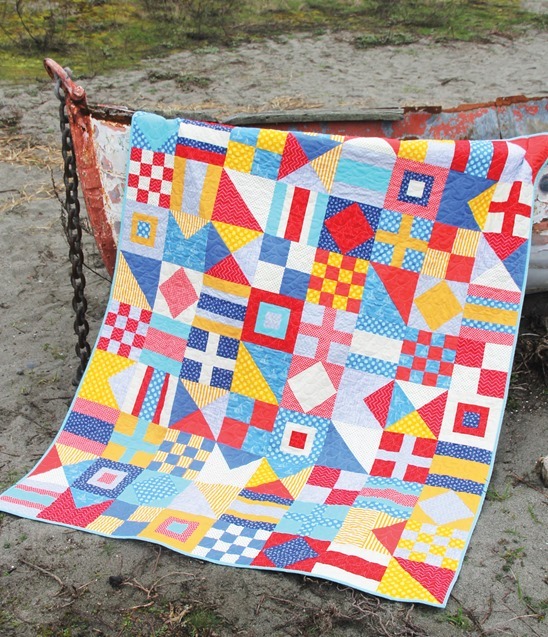 Oh they're all beautiful but I just love the Nautical pattern – that's definitely going on my very long to make list! I think young boys are big on hot messes, but you are in luck. Lego makes Ninja Turtles, Minecraft things, and Bionicles. So if you cover any confection in mini figures of all species, you should have it covered. For extra Mom points, armies of each type can be in formation and warring against each other. The more miniature weapons, the better. On an unrelated note, your quilts are lovely. Great pattern options! …absolutely love Frolic and your spin on chevron. Adorable! I love your patterns and actually got in on your sale- thanks! :) Good luck with your cake- it sounds like a winner! I love each of the new patterns. So fresh and bright; perfect for spring. Thank you for sharing and for all the inspiration. They're all beautiful. You have a nice talent. Wish I knew how to quilt. Maybe I should sign up for a class. I've always wanted to learn. Wishing you a wonderful day. Loving your patterns, especially Lucky! 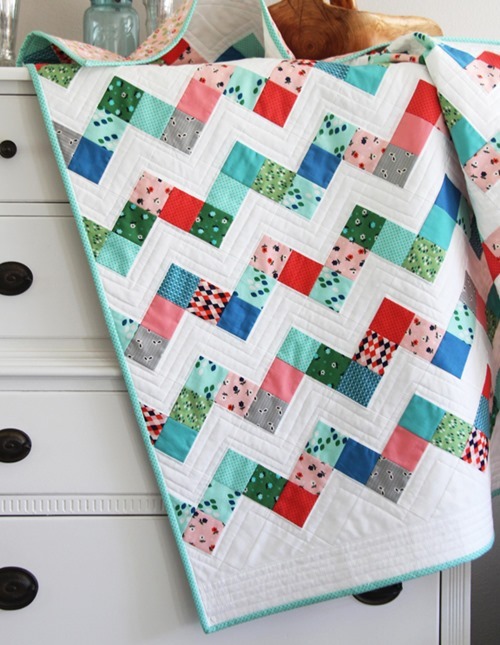 I love the quilting patterns! I mean the ones in your shop of which I bought 4 with the discount. I also mean the way your quilts were quilted. I like the loops and the waves. I could do these! I understand about you having lots of birthdays in a concentrated area of the year. I have 3 grown children with birthdays within 34 days. My daughter has 3 children with birthdays in January and then 2 in November. For me, by the time our fourth child had her birthday early in May, I was feeling really DONE with doing birthday parties for the year. 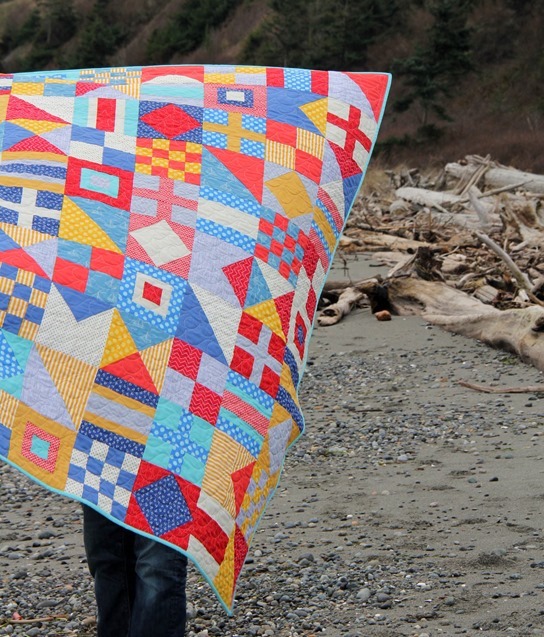 HI,such neat quilts! I want to make all of them-love these patterns and colors! Thanks for sharing! shoot… I meant to buy my usual dozen during the sale…. boo! I bought the Frolic pattern online and never saw the option for the code, so I paid full price but the main issue is I haven't received it yet (I ordered the pdf). It has gone through my bank, so could you please check it again? I'm anxious to use it!! 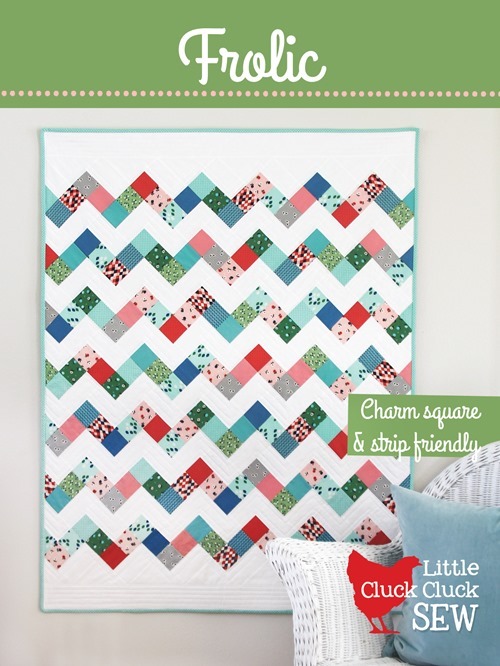 That nautical quilt pattern is so cool – I love the color combination with it!